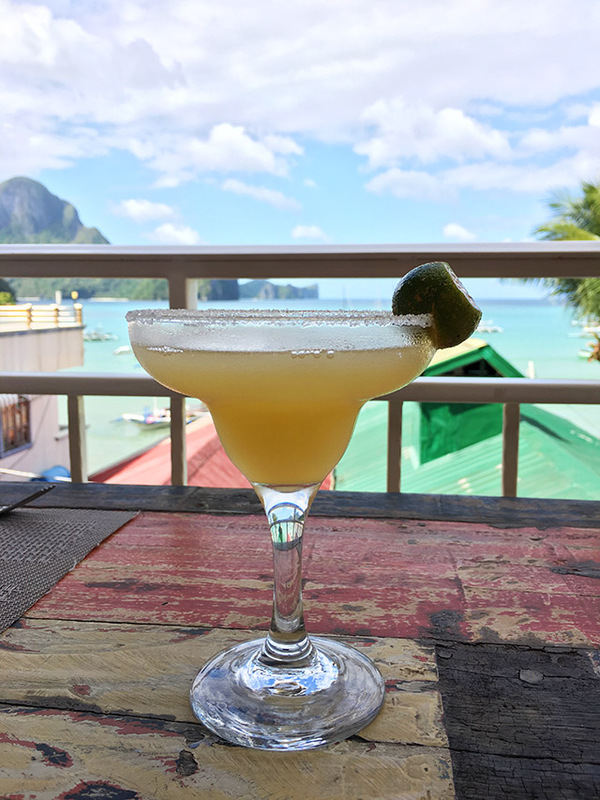 The restaurant landscape in El Nido has certainly changed in the past 10 years! Downtown used to be filled with little hole in the wall places, but in the past couple of years many higher end restaurants have opened. 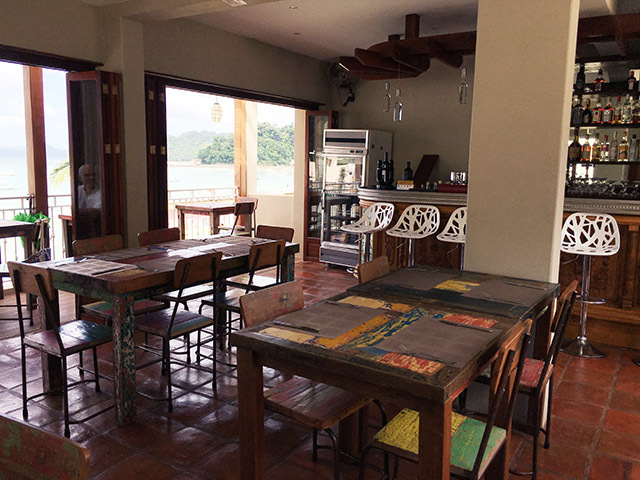 Among them is L’Assiette, a French/Asian restaurant currently rated #8 on Tripadvisor. 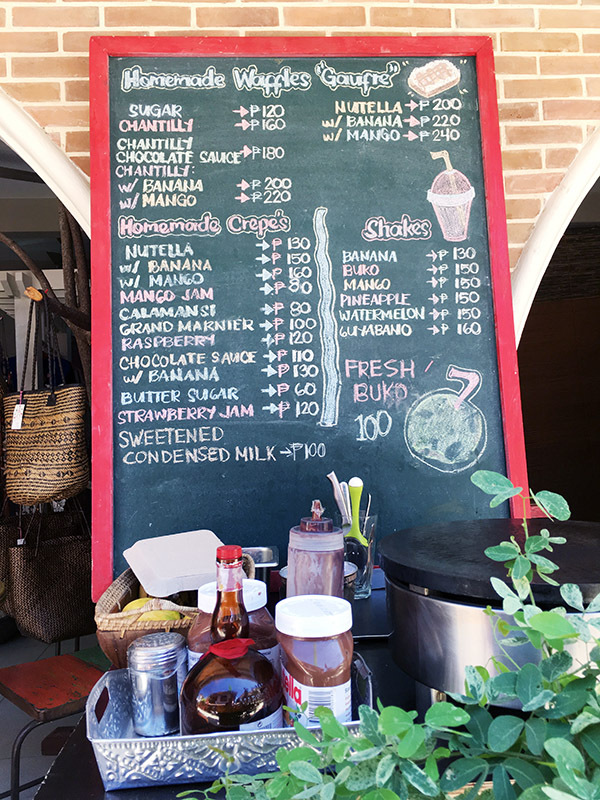 L’Assiette’s restaurant is located on the second and third floor, and they sell ice cream in front of the restaurant as well. 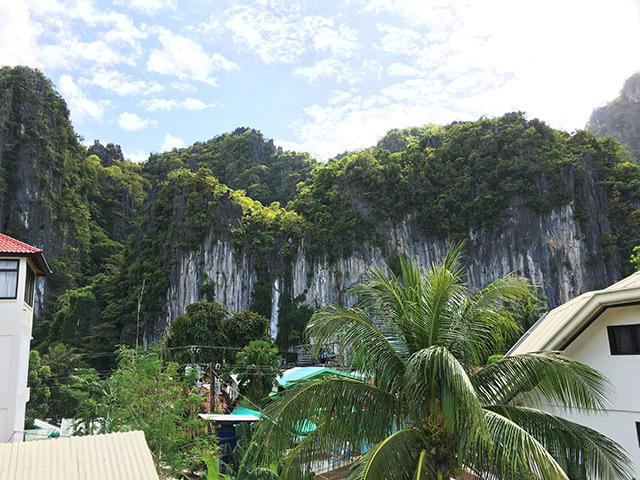 It features beautiful views of Bacuit Bay on one side and downtown’s limestone cliffs on the other. 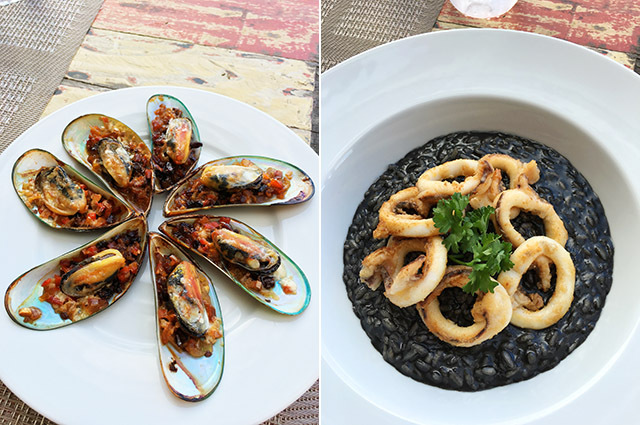 I had mussels which were a special of the day, and the Risotto al Tinta with Calamares for 485 PHP. The risotto was rich and cheesy and filling. 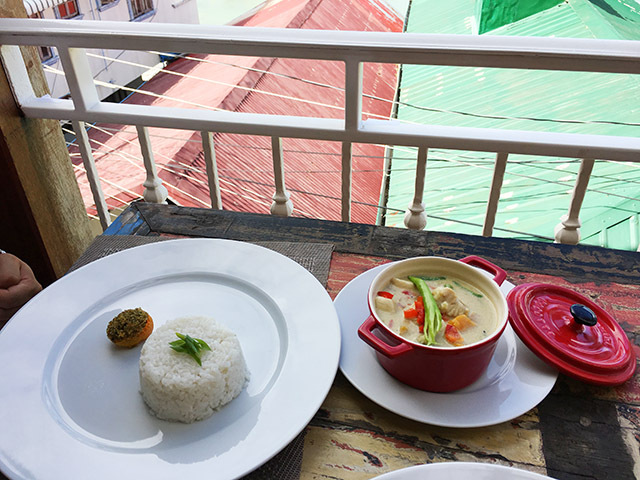 My husband opted for the fish Thai curry for 485 PHP, and I think it’s pretty hard to mess up curry, so it’s usually a safe bet at most places. 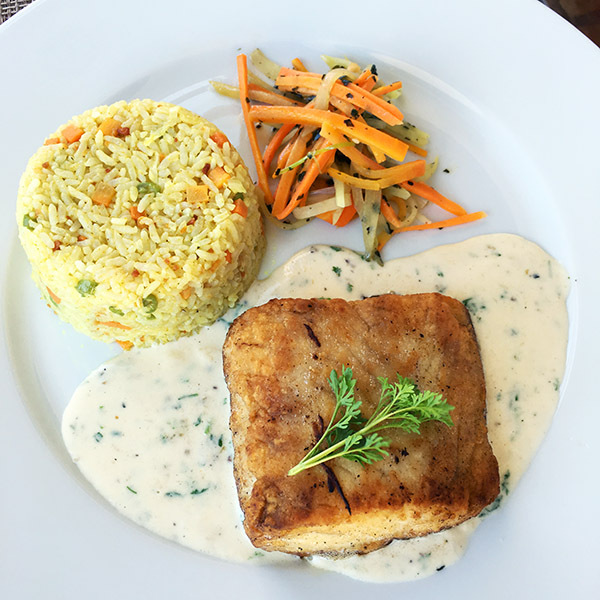 On another trip my husband had the tanigue (my favorite local fish) with creamy dill sauce and curry vegetable rice, and it was absolutely delicious. This is definitely the thing to order at L’Assiette! 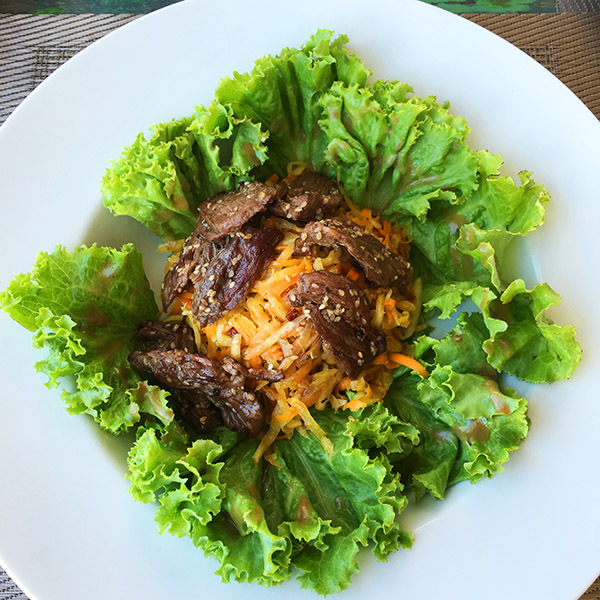 I had the spicy Thai beef salad and while the beef was good, I wasn’t too big a fan of the salad as a lover of extremely spicy authentic Thai cuisine. 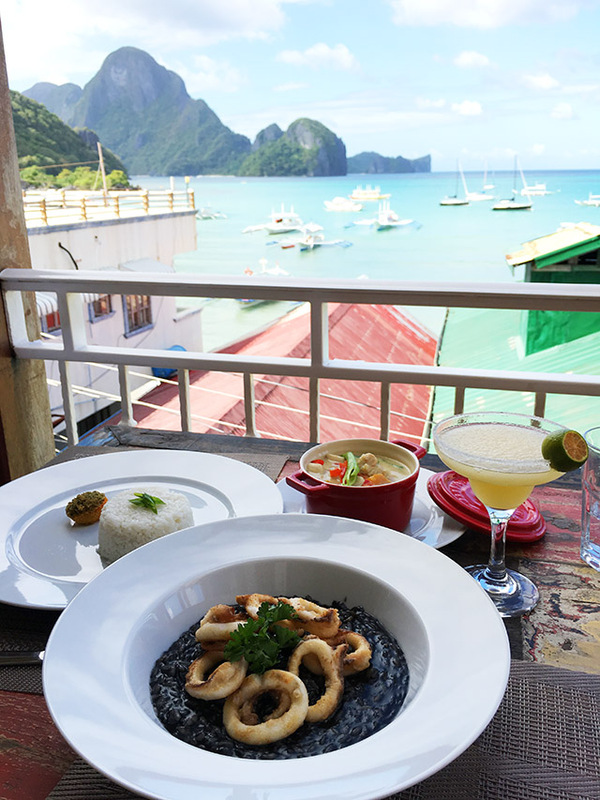 The calamares all Aglio I had on another day was very good though. 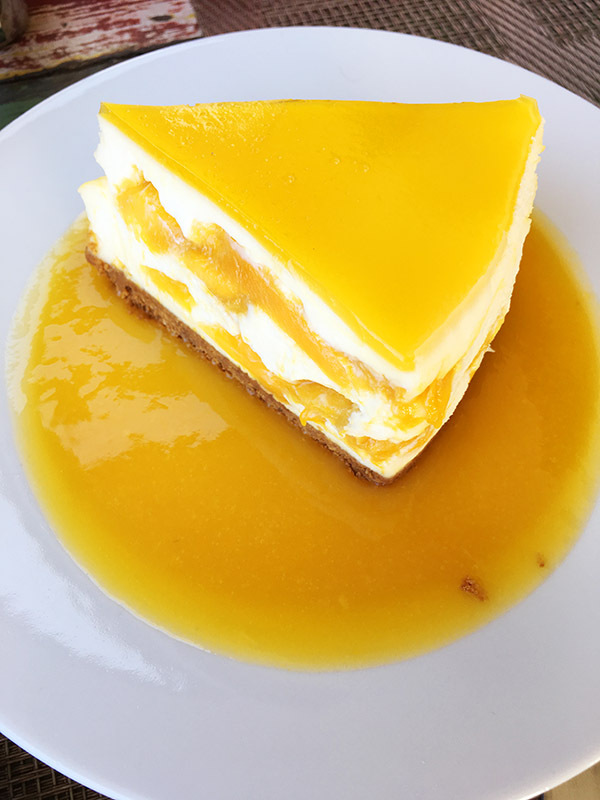 They have the yummiest desserts in town like this mango cheesecake!